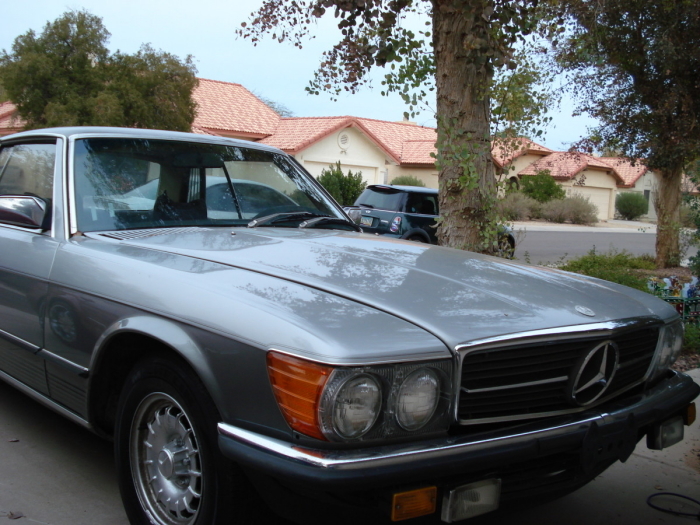 The car we see below represents one of the rarest post-war Mercedes-Benzes to be produced. They were manufactured to homologate the 450SLC for rally purposes. Fewer than 100 cars were imported into the United States as gray market cars during production. A few more were brought into the US during the 1980s as a one time â€œpersonalâ€ exemption. 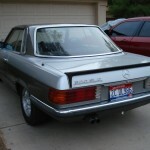 The 450 SLC 5.0 was introduced in 1978 and it differed from the stock 450SLC in that its hood and trunk lids were crafted from aluminum. Also included were front and rear spoilers which resulted in better aerodynamics and a higher top speed of 142 mph. This model was also the first application of the aluminum/silicon alloy V8 engines. Lighter in weight than the standard 4.5 V8, it produced 240 (DIN) horsepower (over 300 HP in today’s SAE HP terms). 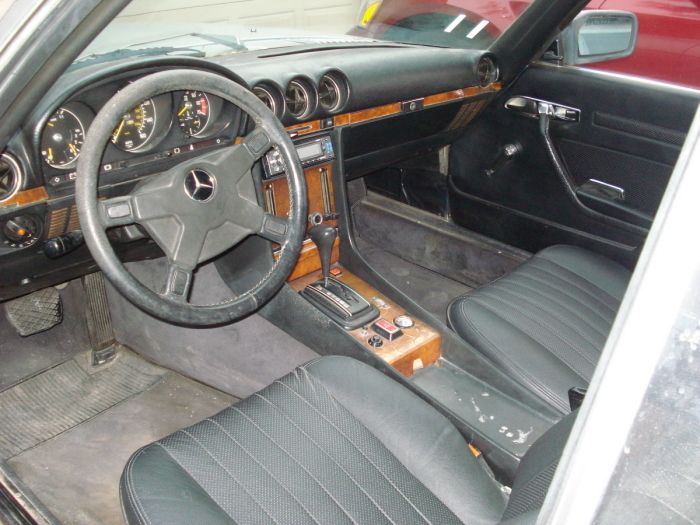 In 1980, the 500SLC replaced the 450SLC 5.0. 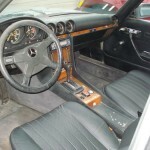 A four speed automatic replaced the previous three speed box and a smaller diameter steering wheel came standard. 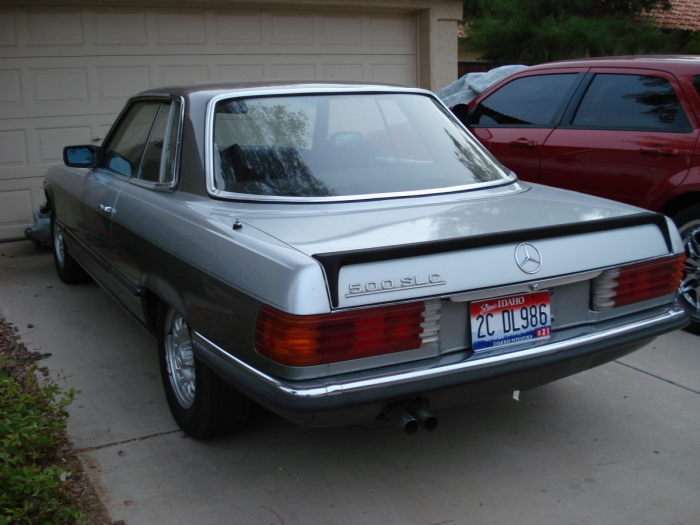 With only 1,154 units produced, this was the rarest of all SLC models. While this is hardly a concours quality car, $11,500 seems very reasonable considering the rarity and pedigree of this particular model. Much like it’s ancestor, the 300SL Gullwing, this is a Mercedes-Benz that brought racing technology to the street. Tagged Coupe, Grey Market, Mercedes Benz, R107, rally. I was curious how many miles on the slc. Also is that a stock paint scheme? I’m curious if the paint scheme is original and how many miles on car? 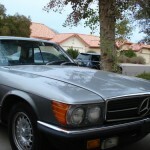 Is this 500slc still for sale. Please respond as to the status of this car.